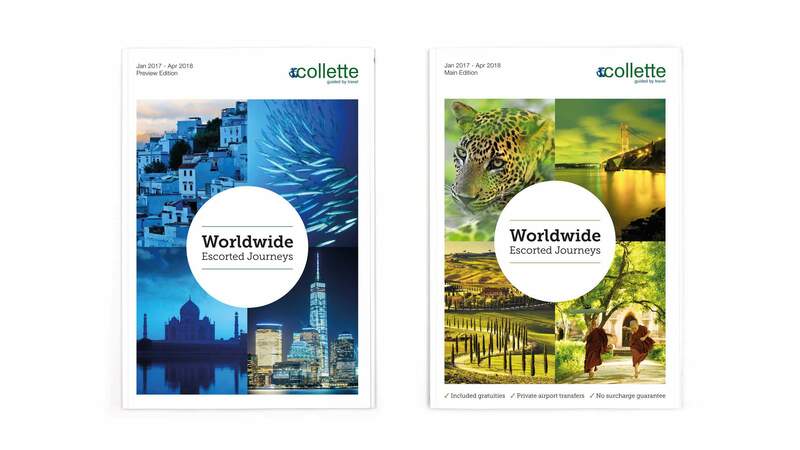 Operating for almost 100 years, US based travel company Collette is one of the world’s oldest and best known US travel brands. 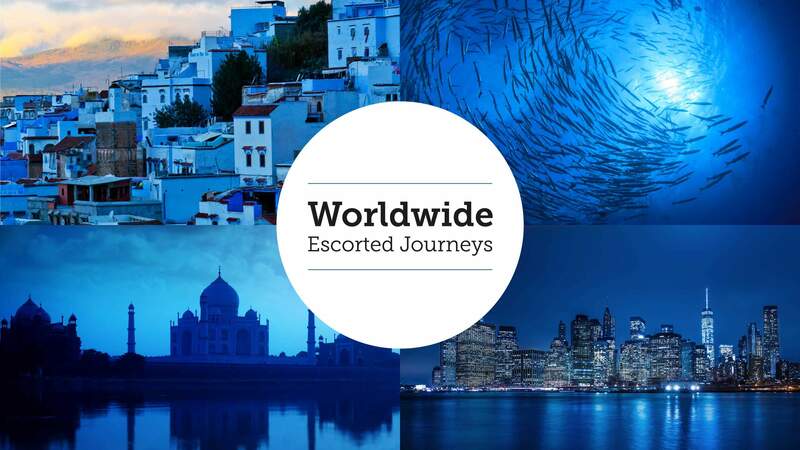 Collette offers high quality worldwide escorted tours to every corner of the globe including ancient sites, river cruising, wildlife, cultural and historical locations. 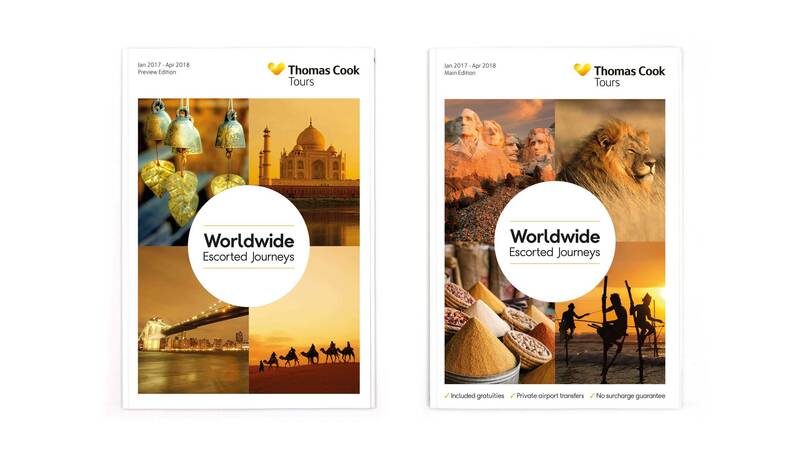 Collette also delivers the escorted touring programme for Thomas Cook in the UK with tours sold direct to the consumer and through travel agents. I have been working with Whitehot Creative for over 13 years now, and they have been amazing to work with. Their design capabilities are fantastic whether we have been looking to evolve an existing design or revolutionise an existing creative. They are really easy to work with and their attention to detail is immense and their ability to work to and deliver a project on deadline is second to none. 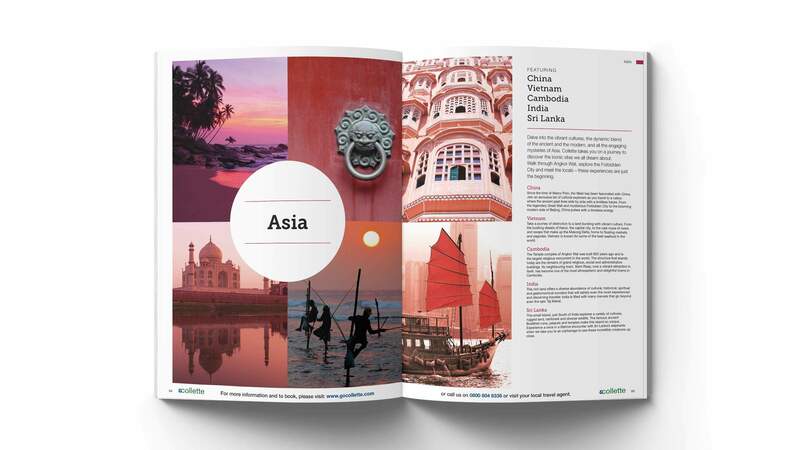 Whether it is a simple postcard, business card, full brochure design and production, or business re-brand, Lisa and the team will deliver an amazing result with an impressive design with a real can do enthusiastic attitude. I would recommend Whitehot Creative to anyone looking to refresh, evolve or revolutionise any of their creative attributes or branding. 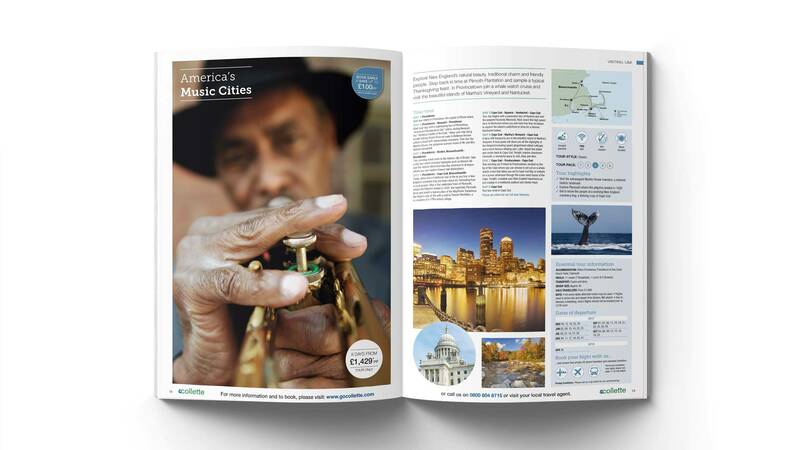 Within our re-design process, we established that a lighter, more image led, modern style was required. 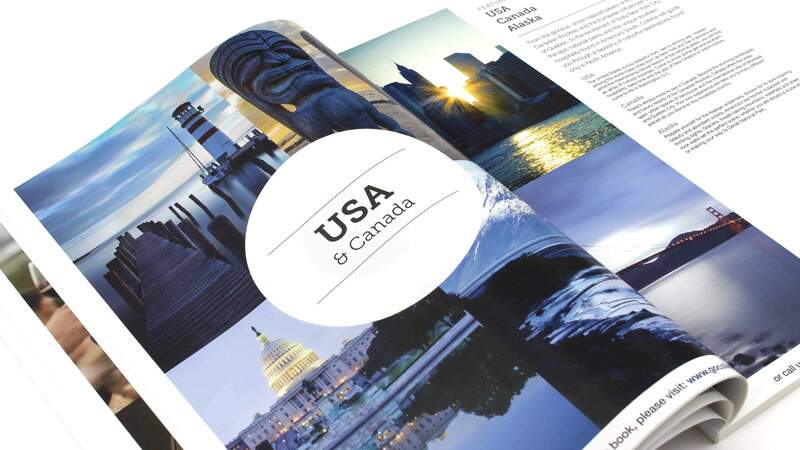 We introduced a collection of montage images as a key brand element. The images, although completely different in subject, all shared a similar colour palette and tone. 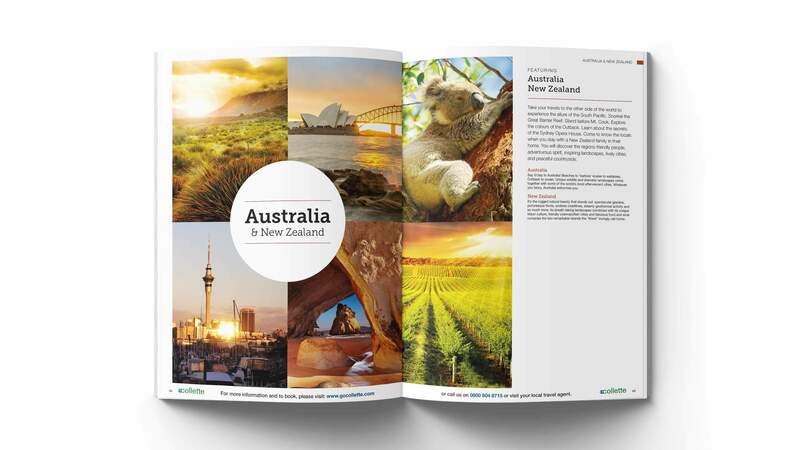 This approach gave the impact and illusion of a single hero image whilst providing the opportunity to showcase many inspirational worldwide destinations. The design also included a set of new fonts along with a number of graphic elements. 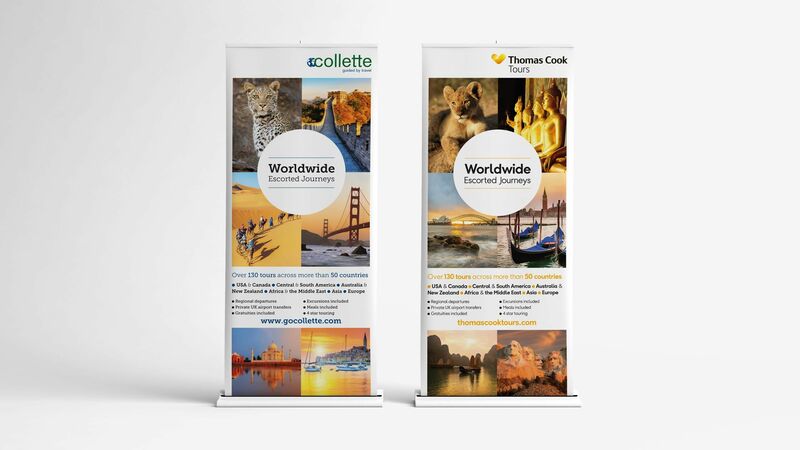 The result was an effective new brand design that more accurately conveyed Collette’s exciting inspirational travel products to the UK market. 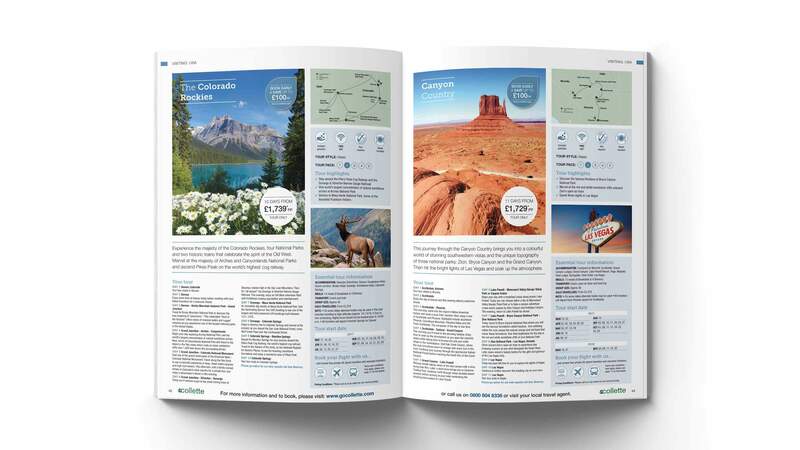 The newly designed marketing material was rolled out across the whole of the UK and included brochures (Collette & Thomas Cook editions), posters, pull-up banners, direct marketing pieces and print and online advertising.